It’s knit day!!! 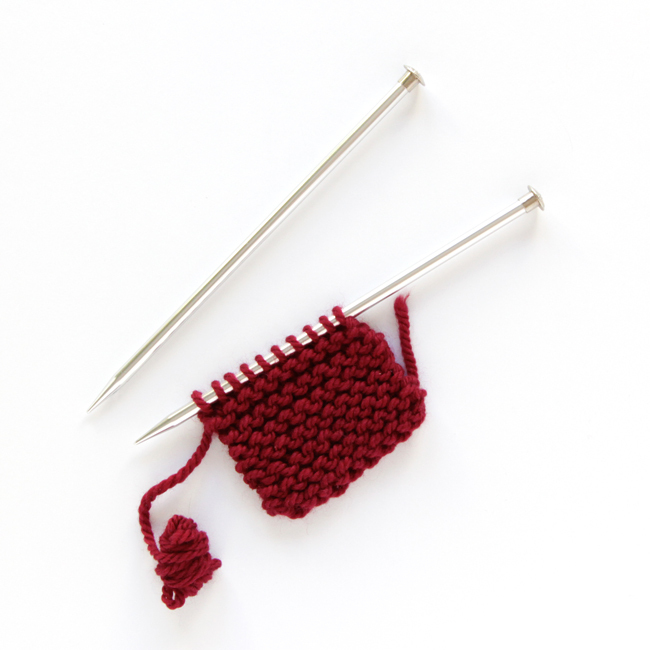 Also known as the first day of your knitting life, the day you learn how to do a knit stitch is an important one. Just like anything else, it takes a bit of practice to get it down, but once your muscles memorize the rhythm of the knit stitch, basic knitting will become the knitting-is-the-new-yoga type of relaxing that you hear people talk about. 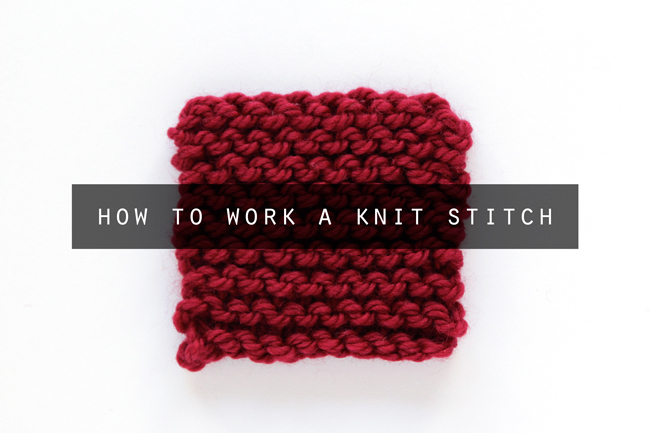 Here’s the video for today’s lesson, covering how to do a knit stitch. The video shows how to work the first row of stitches after the cast on, and how to keep working them on each subsequent row. 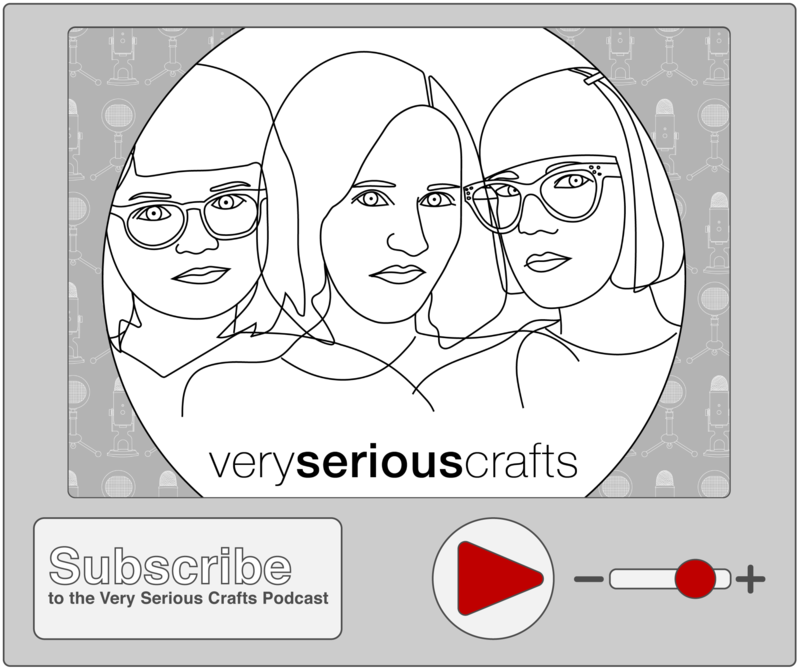 I tried to go slow and keep new knitters in mind, so I hope this is helpful for you! Garter Stitch / This is what a garter swatch looks like. If you keep knitting row after row of knitting, this is what it will look like. 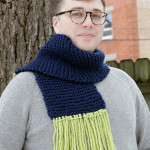 A piece of knitting that’s made by knitting across every single row is called garter stitch. Lucky for those of you who are starting to knit right now, garter stitch is really trending in fashion and contemporary knitting designs. It’s really nice for beginner knitters to make things like baby blankets, cowls and scarves, and dish cloths. 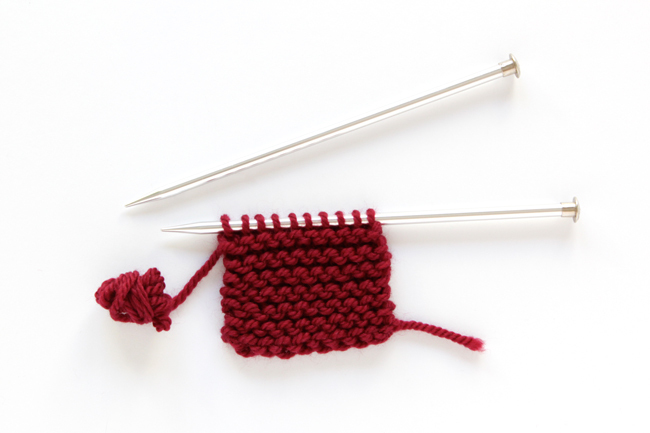 As long as you cast on the right amount of stitches and knit until you need to bind off, you can even start to design your own pieces this early on in your knitting journey. 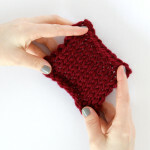 Right now, it’s all about knitting rectangles and squares, but you can make a lot of things with rectangles and squares! Soon I’ll be doing a video showing you how to do a basic bind off, which will enable you to start making your own completed knitting projects (a.k.a. 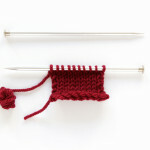 “finished objects” in the knitting world). Isn’t that exciting? 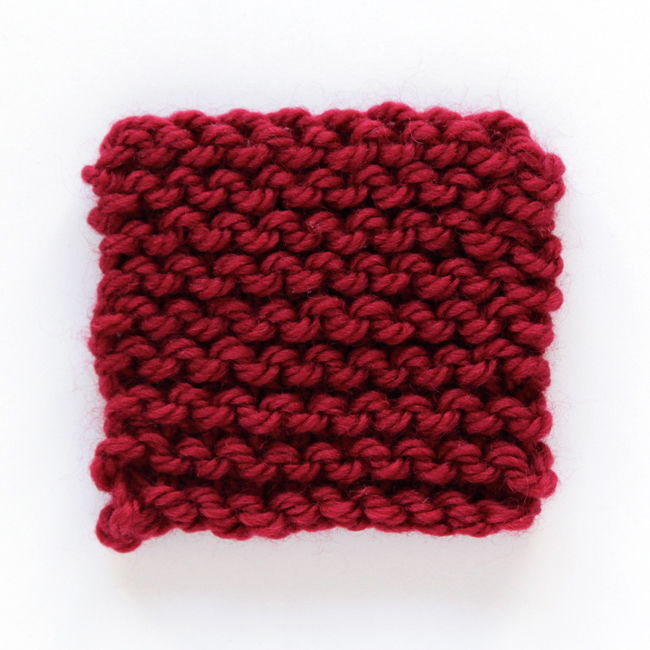 I’ll also share a design or two in the coming weeks featuring garter stitch so you guys have something to practice your knit stitches on that will actually turn into a for-real, usable, knit project! As always, let me know in the comments if you’re getting stuck or have any ideas for what you’d like to see next from Knewbies. Happy knitting! Previous Post: « Survey Results! 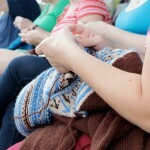 Knewbies | Learn to Knit from Scratch! I love your videos! I’m a total newbie to knitting (experienced in crochet) and I have a few questions! Can you explain how to count the # of rows you’ve done? And can you explain how to hold the yarn to give a nice tension? I seem to be naturally holding the yarn in my right palm (i’m a righty) but it feels loose to me. Sure thing! I’ll do future Knewbies posts on these – did you have another question besides the two listed? I am going to knit up squares in different colours and hopefully make a small blanket. A girl can dream, right? Thanks for doing this for all of us who want to learn to knit. Being a knitting librarian is a great thing! I love this! I tried taking up knitting a couple of years ago and lost interest because I had a difficult time understanding my instructional books. I have been thinking about taking it up again recently. Your web site is fantastic, and the way you film your videos is super helpful. Looking forward to the next one! to participate in helped me as much as you have in these tutorials. Please continue on with the next stitches. I find knitting so relaxing and stress reliving. The classes made me very anxious.